I have been writing reviews of ASL materials for School Library Journal for several years now. Whenever I get a new one, I tense a little with worry – there are some frankly awful sign language DVDs out there. That’s why it’s such a thrill when I get to review a series that I can review as enthusiastically as this one. Sign with Robert is well-planned-out, well-executed, and always mindful of the needs of its audience. Sign with Robert is available as a 10-volume series, or by individual discs or streaming episodes. Voiceovers and open captions are used where necessary to make sure everyone has access. For the past ten years, while pursuing my career as an American Sign Language interpreter and storyteller, I have also been quietly pursuing another dream: to become a published novelist. A little over a week ago, that dream became a reality when my debut young adult novel, Sword and Verse, was published by HarperTeen. Sword and Verse is the story of a land where writing is restricted to the nobility, and a slave girl who learns the language of the gods and finds the key to saving the kingdom. Though the story does not explicitly mention signing, it is absolutely soaked in my love of language and informed by the lessons I have learned from the Deaf community. I loved the thoughtful questions Ruth asked about the role of language in the book, and I loved the opportunity to share how my experiences in the Deaf community impacted the story. I hope you will enjoy this interview as much as I did! Watch the interview in ASL or read it in English at the Swanky Seventeens Blog. Sword and Verse is available in hardcover, e-book, and audio. Read the first 9 chapters for free at Epic Reads! For over 300 years, the tiny island of Martha’s Vineyard, located off the coast of Massachusetts, was something of a Deaf utopia – not because it was the bastion of a strong Deaf culture, but because it was the home of a bilingual community of hearing and deaf people, where deaf islanders participated fully in all aspects of life. That’s because the small, self-contained society had a high incidence of deafness – in the town of Chilmark, 1 in 25 residents were born deaf. 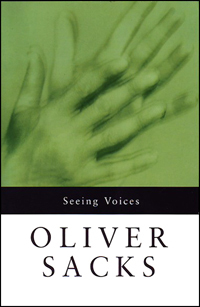 This led to all members of the society using Martha’s Vineyard Sign Language (one of the seeds of modern ASL) alongside English. Find out more in this great post from REDEAFINED: Martha’s Vineyard Sign Language (Sign without Stigma). 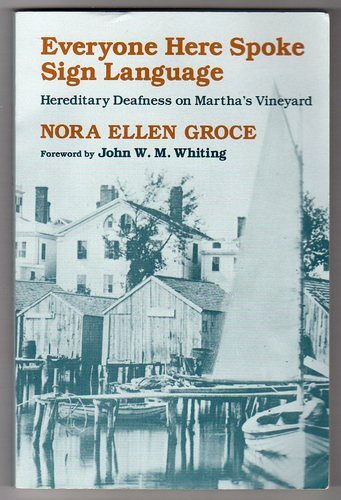 Or check out Nora Groce’s remarkable book, Everyone Here Spoke Sign Language: Hereditary Deafness on Martha’s Vineyard (Harvard University Press, 1988). It just goes to show: when communication is present, our differences no longer divide us.